Join An Event – KITES, Inc. 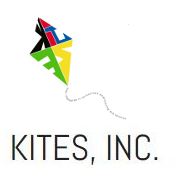 Kids Interested In Technology, Engineering, and Science (KITES), Inc. is an educational non-profit organization devoted to promoting STEM education. We are gearing up for the eighth annual KITES Science and Engineering Festival, and we welcome new and returning exhibitors and presenters! If you wish to be a part of this exciting event as a presenter or exhibitor, we would love to have you on board. Please contact us here.